Fior Daycare is owned and operated by me, Fior Montella. 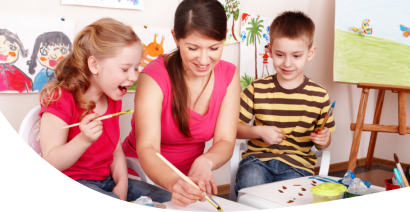 We are a licensed child daycare facility located in the Throgs Neck area of the Bronx with a full support staff in place. We have been in operation since 2004. Our goal at Fior Daycare is to offer you, the parent(s), with peace of mind while providing your child with a warm and nurturing atmosphere that encourages and supports a child’s social, emotional, intellectual, and physical development. We achieve this through educational activities, age-appropriate play, arts and crafts, music and dance, social skills development, and simply, our love for children. We are also proud to offer pickup services from PS 304 delta Pre-K.
Communication is an essential part of childcare. I am free to discuss any questions or concerns you may have about your precious one’s care here at Fior Daycare. Please feel free to contact me at 917-667-5684 or fior.montella@gmail.com. I look forward to hearing from you!